The Remembrance Day Contest for 2016 has come and gone. 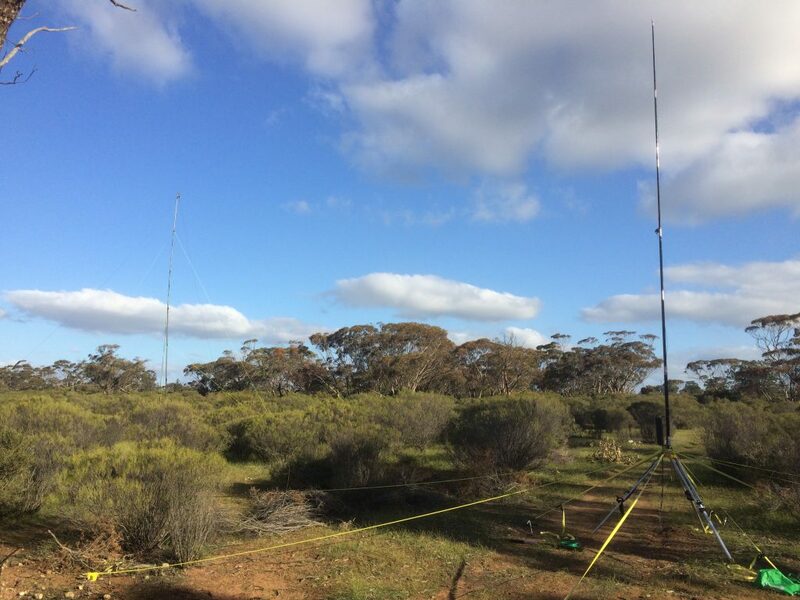 AREG was well represented this year with a number of home stations as well as three portable efforts making their presence felt across the bands. Three members, VK5AKH, VK5MTM and VK5GR banded together to form a three station team this year. Named “AREG: Mostly Harmless!”, it gave the club an avenue to participate in the contest whilst also allowing individuals to also work for an individual score. It will be very interesting to see how they placed! Station was powered by a Honda EU20i Generator with extended run fuel tank. Generator did not stop the whole contest. 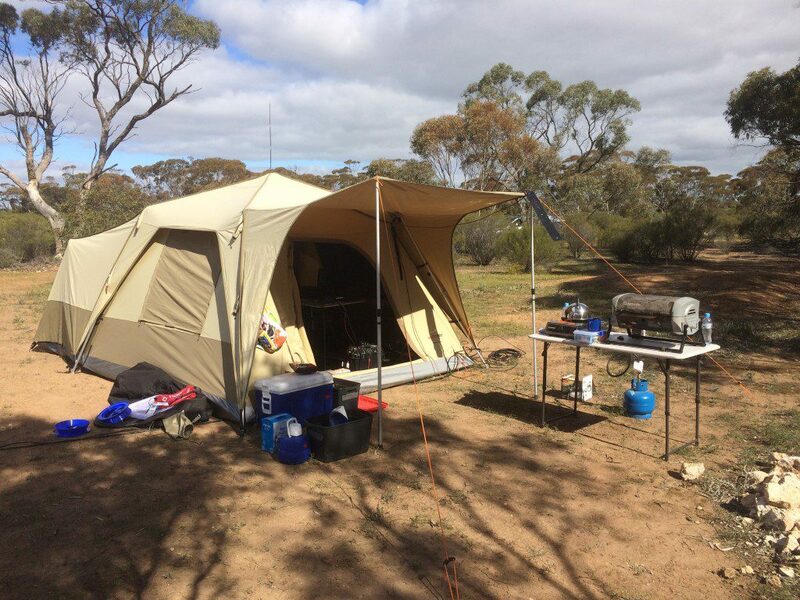 Tent and Camp Kitchen Setup. Radio IC 7600 Amplifier KPA500 Logging MBP with Second monitor (for band Scope that did not work 🙁 ) Rotator Controller Linear Power Supply. Not Shown: Foot Switch Flightcom Headset (that worked very well 😀 ) 500W blower heater to attempt to keep feet warm. F Pile of empty Coopers Dark Ale and FUIC Strong Cartons. 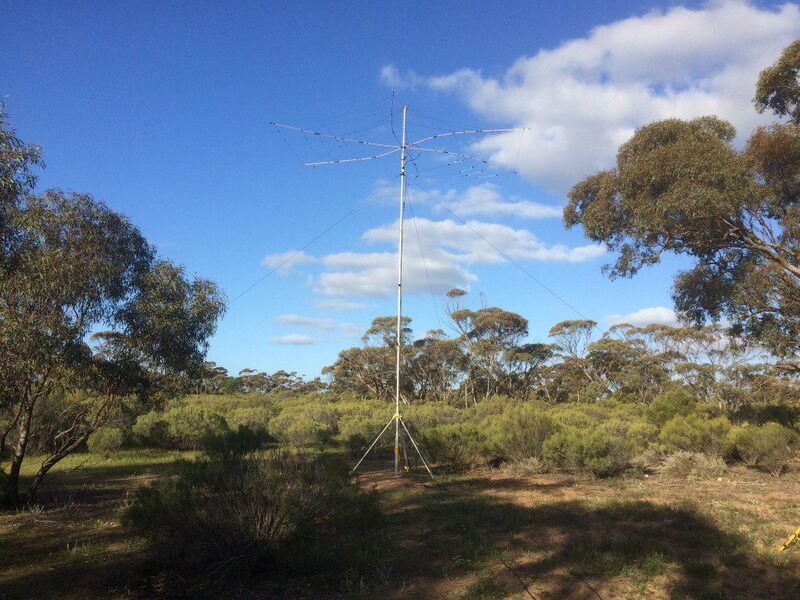 Foreground: SFA special, elevated feed vertical tuned with SGC230, with 8 tape measures as the radials. Background: 40m Inverted Vee on new Fibreglass Push Up. Grant set off Friday night from Adelaide and arrived in Tickera, on the eastern shore of Spencer Gulf around 8.00pm. Station setup began bright and early Saturday morning. By 9.30am the basic station was running, so the extra time was put to use adding 160m dipole elements to the 80/40/20m mix. This was the multi-band resonant dipole’s first outing and it proved to be a very good field performer. After the contest it even allowed a quick PSK31 contact to Reunion Island on 20m no less! During the contest, Grant made a point of operating for as many hours as possible, stopping only for ~1.5hrs around 5am for a quick nap. 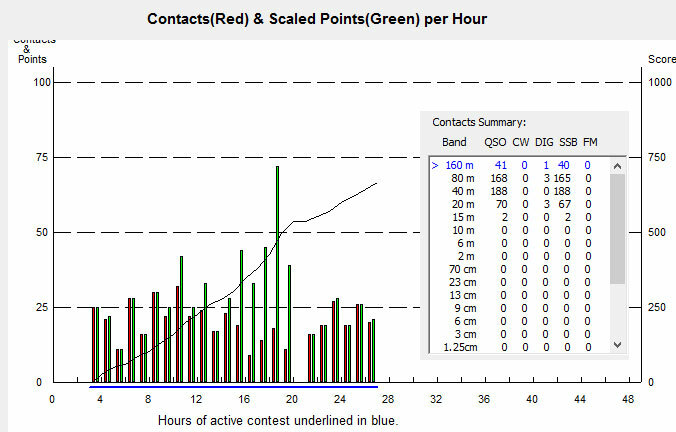 The effort paid off with 469 contacts and a total of 664 points (thanks to the graveyard shift multipliers). 160m paid off handsomely as well, with 41 contacts and almost a worked all VK Call areas in 8 hours (except for VK1 who didnt appear on the band). This was the first time Grant had operated on 160m and with luck now wont be the last! Grant also experimented with RTTY this contest. While there were very few RTTY stations around, those he did work certainly helped his score, including his first 160m digital contact into VK4! Theo managed a Personal Best of 286 QSO’s/300 points. Operating from home, he had to battle solid S9 noise on 40m during the daytime and plasma TV noise 80% of the time on 20m (neighbour’s TV). Even so, a very respectable score was achieved! Marcus (ex VK3TST) also headed out portable, but took a different slant on things. 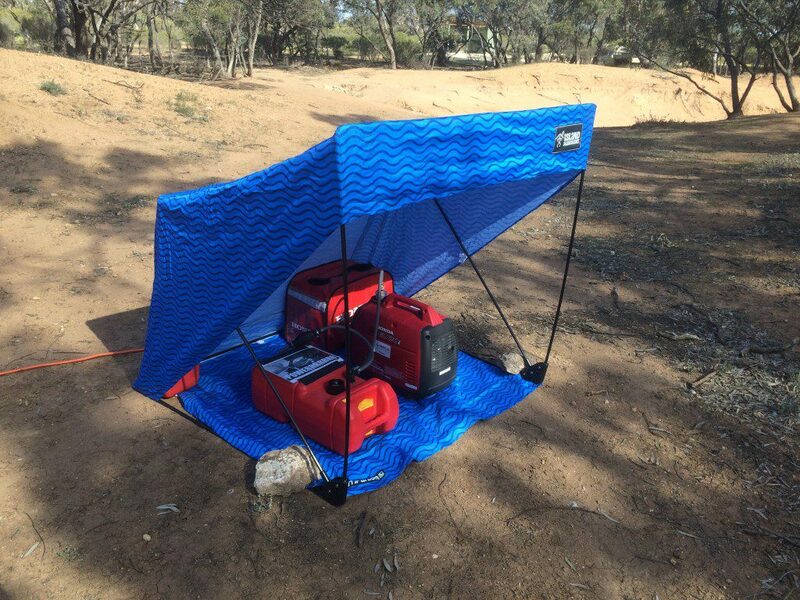 His intention was to go QRP phone from the get go, but to build a bigger than usual station. He also made the decision not to stay up, and admits that probably hurt his score, a lot, 83 points were gained in the hour before 6am. His radios included a Yaesu FT-817 (not the ND) and a Yaesu FT-857D. Antennas: 80/40 fan dipole, 20/15 vertical, 20m sloping yagi (supposedly pointing west), 160m EFHW. As far as antennas went, the poor attempt at a sloping wire yagi was full of fail. It must have been so close to the ground that it turned into an inverted-V. Marcus is thinking of making a 20/15 moxon for next time. He also indicated that the highlight of his contest was a 160m contact with VK2IO, both portable in parks running QRP! A distance of roughly 1100km. The ability to run a second radio was thanks to VK5QI who loaned him a 100A AGM battery. The rest of the station (817 & laptop) coped with 2x 12Ah SLAs a few Li-Ion pack to top up the batteries and 10+18W solar system. The 857 was the only thing hooked up to the AGM battery. 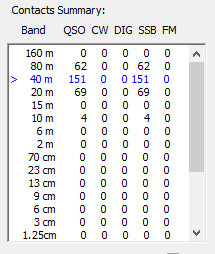 The beam wasn’t that useful on 20m. I kept having to swing it around between VK6 and VK1/2/3/4, which got a bit annoying. 400W certainly makes it easy to be heard – If I could hear someone, I could work them! Overall, AREG was very well represented on the bands, and most of all everyone had fun! See you next year on the Remembrance Day Contest! Acknowledgements: Thanks to VK5AKH, VK5WTF, VK5GR, VK5MTM, VK5QI and VK5KX for their individual photo and text contributions to this article. 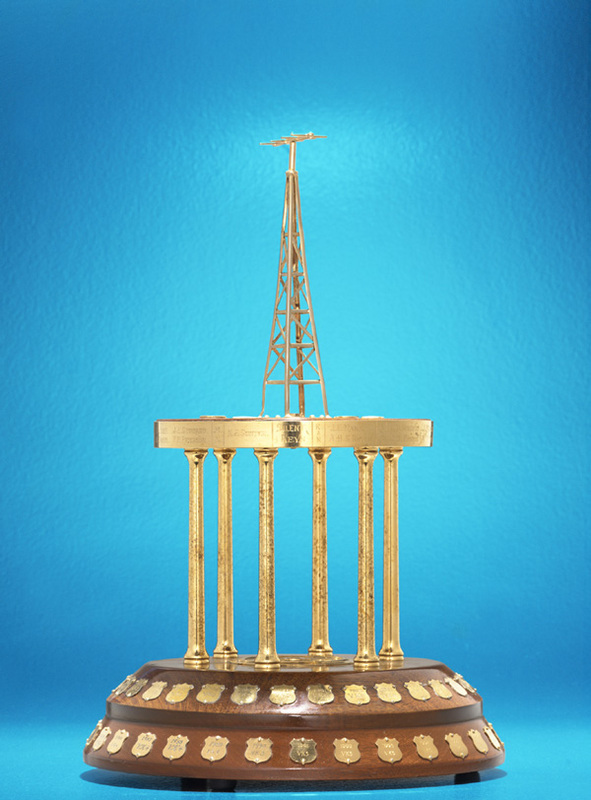 This entry was posted in Contesting by AREGNews. Bookmark the permalink.